With Raxar, you can reduce your stress at a subsidized price. See if you're a great fit in 15 minutes or less! Raxar Technology is proud to deliver a robust and intuitive solution for Fire Departments of all sizes. Streamline processes across all areas of your department, whether its Fire and Life Safety, pre-planning, hydrants, NIFRS, Fleet & Equipment Management, managing team training and certifications, permits, billing and more! Talk to us today to see how we can replace or improve your legacy system, simplify your team's workflows, and help increase the safety of your citizens and team members. Whether you haven't started to fix the problem or have difficult to manage process deployed, its time to rip the bandaid off and get a comprehensive solution in place. Reduce your stress, make your team more efficient, and ultimately reduce your overall software costs by using a solution that was hand crafted for you. Pick and choose from our 15+ Management Modules to build your own custom package and achieve your specific goals. Handpick the modules you need now and grow into others later. Let us help you get on top of these workflows with a free executive briefing to see if we may be a great fit for your department. Raxar can help you manage Code Enforcement Inspections. Raxar’s Fire Inspection Software Module enables Fire Marshals, Inspectors, and even crews to perform fire inspections customized to address your specific community’s varying structure and inspection types. Given its mobility, the software allows fire inspectors to rapidly create detailed, professional inspection reports in the field with photos, notes, and signatures. Tie this information your department’s fee schedule to automatically create sharable reports for financial reporting and your finance team. 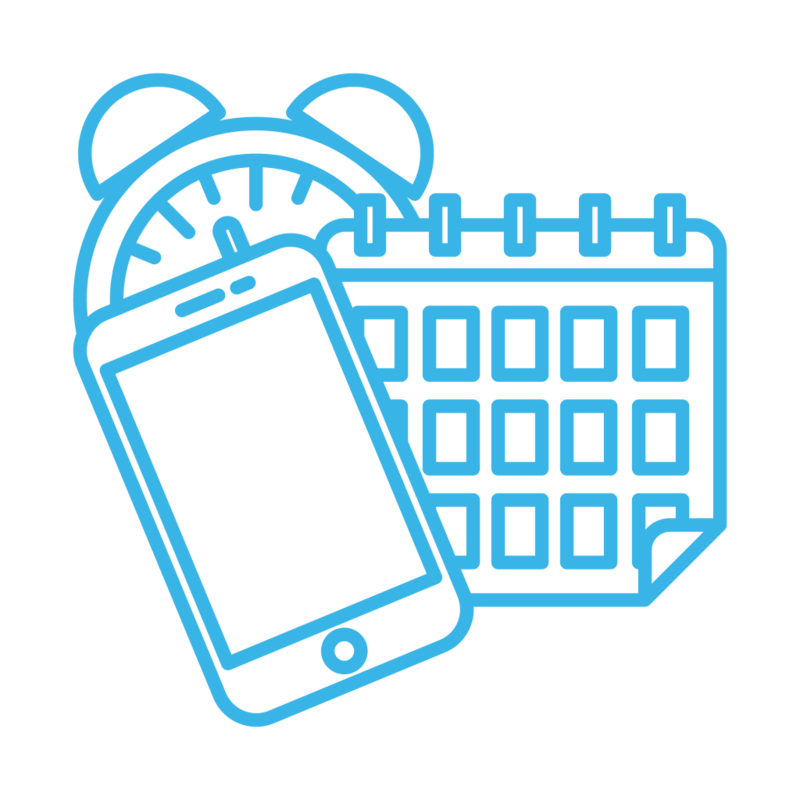 Our built in Smart Scheduler makes scheduling a breeze. Our clients save even up to 90% of their time on scheduling their inspections across the entire year. Paperless documentation for real-time communication of life safety hazards. Complete accurate inspections with preloaded codes, standards and local amendments. Software includes spell check, standard responses, signature capture and handwriting recognition. Have a golden occupancy inventory that you can rely on. We will help you get there! Raxar can help you manage Preplans. At Raxar, we believe it’s about time that pre-planning become a whole lot easier. That is why we enable your team to access vital structure and occupancy information during a response. Gain the ability to build pre-incident plans with GIS or plan-sets so you can get started right away and build over time. Track the locations of critical systems and be able to instantly report against them. Your team’s safety is crucial during a response, but we understand that sometimes pre-planning takes a backburner because of how time consuming it can be. That’s why we made it easier than ever so you can build a pre-plan in less that 15 minutes. Raxar can help you manage Hydrants. 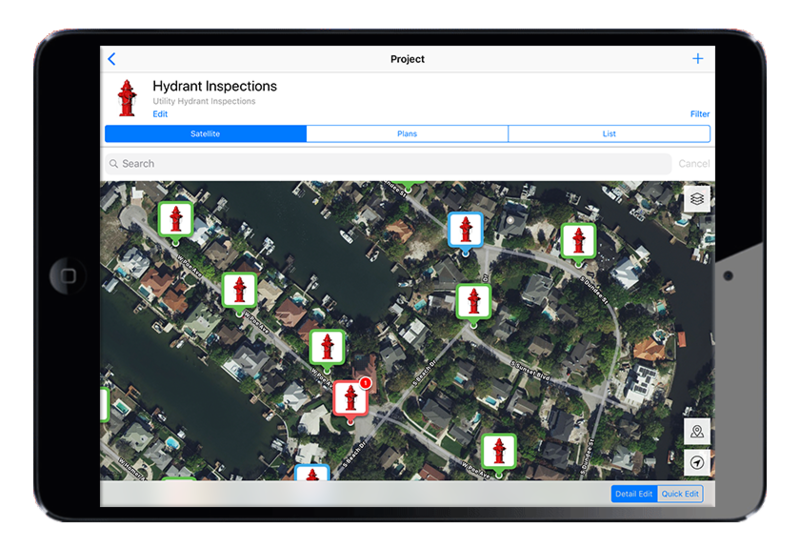 With Raxar, it’s never been easier to manage all of your hydrants. From location tracking with plan-set and GIS integration, to housing important documentation. That means manuals, warrantees, associated flowrates and work history, all in one place. Be able to collaborate and share information with other departments within your city or country. Dynamic planning with information like type, utilization, end of life, preventative maintenance, and more. Get in touch with RAXAR's team. We'll get back to you shortly. Raxar can help you manage National Fire Incident Reporting. 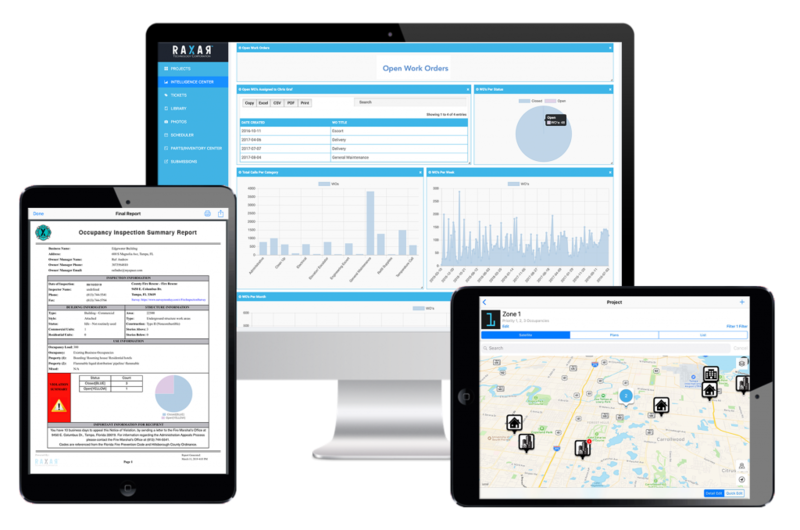 Raxar provides a centralized area for your incident report that goes beyond simple reporting to the National Fire Incident Reporting System (NFIRS). We enable your department to start analyzing and breaking down your incidents so that you can start trending them, see what types are occurring most often, and other information that could help you make data-driven decisions. Save time on entering your incident data to the national data base, but also gain other insights through compounded feature sets. The return on investment (ROI) of automating your department’s record management system is often seen within the first year after implementation. Raxar can help you manage your fleet and equipment. 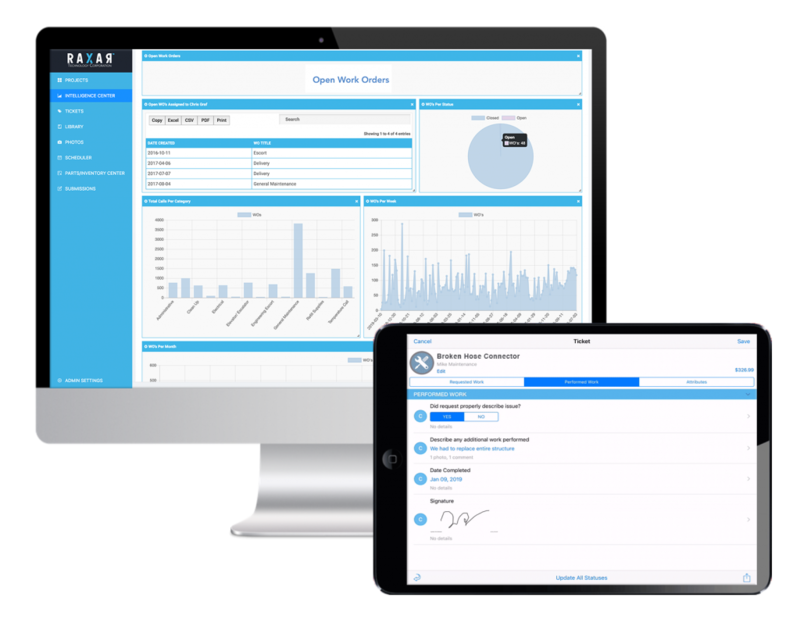 With Raxar, it’s never been easier to manage all of your vehicles and equipment. From real-time location tracking with GIS integration, to housing important documentation and quality information. That means manuals, warrantees, associated barcodes and work history across departments all in one place. Keep tabs on your entire fleet, whether they’re on the go or ready for action. Track your equipment, such as tanks or other expensive assets, so that you know its condition and quality at anytime. Tie this information into being able to project costs to the department and improve capital planning. ​Dynamic capital planning with value of equipment/fleet, end of life, preventative maintenance, and more. ​Deliver role specific information about equipment/fleet to your dispatch, crew, maintenance, and other teams so they see what they need with no distractions. Raxar can help you manage maintenance. Transform the range of tasks you face every day into one easy-to-manage workflow. Our maintenance management module helps allocate your team members by their current assigned work, skillset, and even current location, in order to find the best person for each new task. Schedule services and delegate all maintenance tasks against your fleet or equipment- from routine, preventative and corrective- whether an internal team member or external vendor. Take advantage of the ability to track and add cost items such as time, parts, and materials so that problem areas can be seen and fixed before becoming pricey or dangerous. Raxar can help you manage your Occupancy Inventory. It’s important that you have an Occupancy inventory that you can rely on and not be worried about inaccurate addresses or duplication. That is why during our onboarding process we help you to eliminate any errors and produce a clean occupancy inventory that you know is reliable. We then ensure that duplication does not happen again by putting checks and balances in place so you don’t have to worry. Be able to change occupancy contacts, add and change occupancies in the field, but only if you have the right security privileges. Monitor all activities against system occupancies, rather than just inspections and violations. See everything laid out on a map and be able to create containers and priority zones based on your department’s specific requirements. A picture can be worth a thousand words, but only if you can find the right one at the right time. Luckily our enhanced image capture and smart library systems are now here to help. Raxar captures meta-data with every photo including who captured it, where, when, which occupancy or event and even information like what direction they were facing. After taking a photo, users can attach a note or make a markup so the next person knows exactly what they’re looking at. Every photo is them auto curated in our smart library with full attributions to filter in between. That way, you can find the exact photo you are looking for or export a batch at once. Raxar can help you manage your Permits. Tracking permits and the approval process across companies and citizens can be really tedious. With Raxar’s permit management, it takes all the stress out of the process so you can focus on the work at hand and know that everything else is taken care of. Create and assign permits easily and directly while in the field or back office with the appropriate reference materials and signature signoffs. Manage expiration dates all in one convenient place and get reminders on the ones you may have slipped your mind so your team reduces any risks to project delays or compliance issues. Raxar can help you manage your team and certifications. Performance and training monitoring can often be hard when managing lots of crews and teams. Efficiently organize crews based on their titles, skills, competencies, certifications, department, availability and other custom attributes. Get notified if certain skills or certifications are expiring, reducing your risk across all projects. Ultimately, your team can leverage this key information to allow for the right people to be assigned to the right tasks at all times. Raxar can help you manage your contacts. 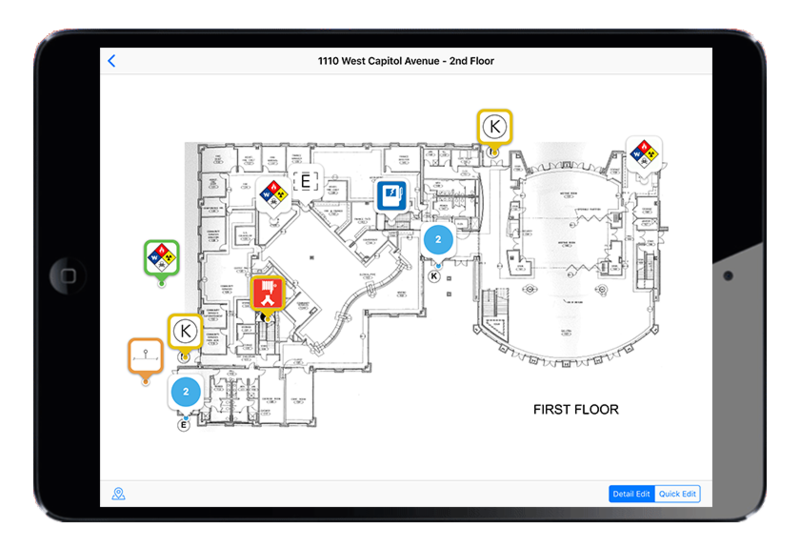 All your occupancy and department related contacts in a central location with the ability to track their work requests and make sure your crews are able to communicate with everyone efficiently. Stop wasting your crew’s time in the field by them fumbling to find the person they need to speak to. Take advantage of our contact library and quickly find the person they need based on where they are and what they need. Manage all key contacts for billing, maintenance, occupancy related requests, and more. With a tap of a finger you’re now able to call, text or email the appropriate person, even while performing tasks such as inspections, workorders, or permit checks. Take reporting, collaboration and communication to the next level with our contact management module. Raxar can help you manage Workflows. Good things happen when work flows. 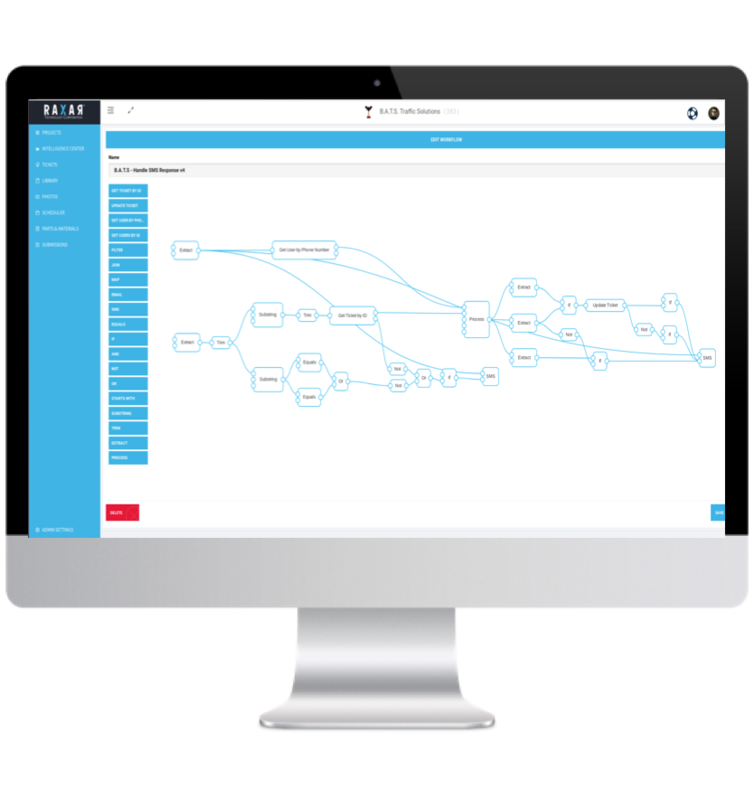 With our configurable workflow manager, you can create and manage complex workflows across Raxar modules or external tools like ADP or Twilio. This means that you can create automated sequences of events that occur on a specific job type or event, such as an incident or sensor trigger. Let’s say a job comes up that needs one foreman, a driver and four crew members. The system can automatically go find the team members for each role in that crew based on training, availability and proximity. Then text those team members seeing if they are available and find a replacement if that person responds no to the text. Once the crew is forms the workflow could then change the job status to ready to deploy. All this, customized to your team, your workflows, and your goals. Take your operations to a place you only thought possible in the future. The possibilities are endless. Our no programming interface gives your department the business intelligence without the complication. Allow your team to build complex queries without writing a single line of code or SQL. Drag and drop everything you need easily into dashboards, visualizing your department’s information for more informed decision making. Spend more time actually analyzing and making decisions rather than just compiling the information. We do the heavy lifting for you automatically so you can focus on what will actually create impact. See information like how your occupancies breakdown, incident types, trending events overtime, team’s performance and much more! With the power of 100’s of our prebuilt dashboards, queries and reports you will be able to slice the data in every way you need. Reports and dashboards are always updating in real time with the latest information being collected in the field, which means that our business intelligence enhances every one of the field modules across the Raxar platform. Raxar can help you manage Integrations. With the flexibility of our secure API, your department can tie your practices other software systems utilized across your government body’s needs. This means building one simple, interwoven system across your entire department, allowing data to flow efficiently between systems in no time, leveraging 100’s of integrations we have with our partners. Easy back-end for non-technical user! Build and deploy new forms in under 2 minutes without any programing. This helps your Chiefs, Marshals and Leads to feel empowered so that they can make changes on the fly as needed. We also understand that business processes change over time so that mean you need a platform that is adaptable to meet your needs. We know your Department is not out of the box, so why should your software be. How Raxar can help your inspection process? Improve your First Department's Operations! Once implemented, the Raxar First Department Operations Platform can be utilized to easily capture photos; draw markups; leverage voice-to-text documentation and reference non-compliant findings on map and plan views. What makes RAXAR the best solution? Various teams work on the same system but are delivered content based on their role and permissions. Integrate various types of sensors that your organization currently uses or wants to use. Whether that is QR/barcodes, IoT devices, connected assets, and much more! Raxar's core platform was build mobile first to be robust yet extremely intuitive for all field teams to work both online and offline. 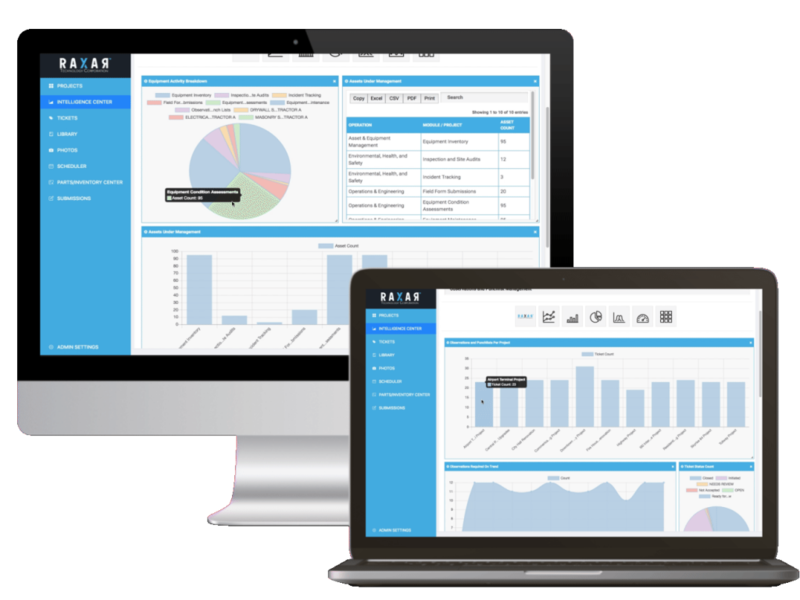 Raxar's GRAiT System is API enabled allowing organizations to improve their current systems easily and seamlessly. 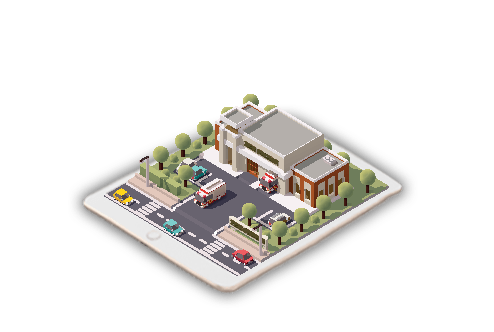 Learn more about how one department saved 10,000 hours and generated an addition $250,000 in revenue in the first year of utilizing our fire department operations management software.